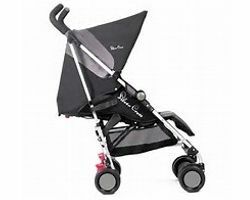 Silver Cross Horizon - The Silver Cross Horizon Classic Couture is inspired by Art Deco Glamour and features premium woven fabrics with tones of teal and black on a luxurious satin black chassis with antique gold metallic trims. 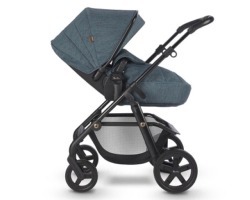 The Horizon is the perfect pram that provides ultimate comfort for baby and practicality and style for parents. Suitable from Birth to 25kg. 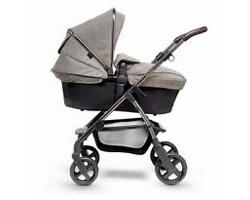 Silver Cross Coast - Effortlessly stylish, Coast is our lightest and most streamlined single to double pram. The brand-new colourway is inspired by a palette of earthy neutrals with caramel accents. 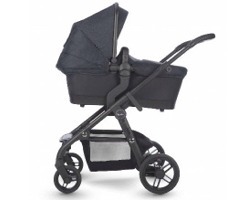 Tailored for a contemporary finish, it has a sleek black satin chassis complemented by high quality fabrics. 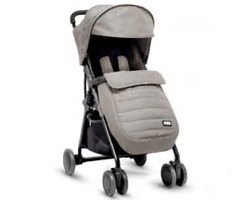 Aria Expedition - Avia is a clever solution that embodies both compact design and maximum comfort for baby. 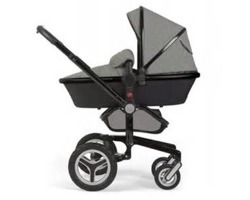 Weighing in at only 5.5kg, it has a unique mid-folding action, a lie-flat seat position and it's easy to lift and stow away. Silver Cross Pioneer Expedition - With warm bronze undertones and exclusive basket-weave fabrics, the Pioneer Expedition is beautifully crafted. The stylish gloss bronze chassis and cocoa leatherette bumper bar and handle add to the feeling of luxury. In addition, the Special Edition Expedition Pioneer comes with a stylish co-ordinating changing bag and luxurious seat liner. 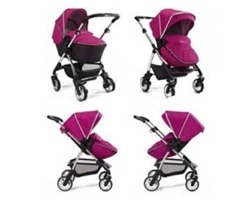 Silver Cross Pop - The Pop pushchair is suitable from birth and jam-packed with smart features, like the fully extendable UPF 50+ hood for maximum sun protection, the full lie-flat seat recline and the adjustable calf support to keep little legs happy. 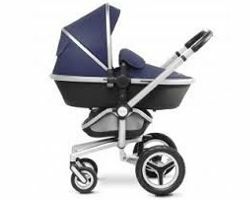 Suitable for toddlers up to 25kg, Pop has the widest seat in its class and a taller seat back - ideal for growing boys and girls. Silver Cross Wave - As all parents know, it's good to plan ahead. With this in mind we created Wave - a flexible travel system designed to carry your newborn in comfort and style, yet future-proofed for the arrival of a second baby. SURF 3 - Surf 3 provides the ultimate ride from birth to toddler with its revolutionary air spring suspension. The luxurious lie-flat carry cot for your newborn baby along with the fully reclining, reversible pushchair seat for older babies. The carrycot has been approved for overnight sleeping. SPECIAL EDITION SURF - Tailored in Eton grey, this special edition Surf is the epitome of luxury and has a class of its own. 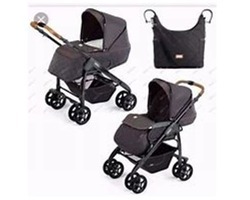 It combines comfort, style and manoeuvrability—it is a true 3 in 1 system; pram, pushchair and travel system. It is suitable from birth to toddler. 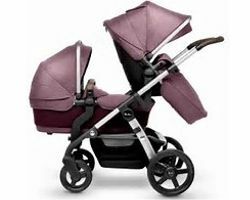 WAYFARER - Wayfarer offers you a complete package from baby to toddler including a carry cot, pushchair and travel system. Wayfarer combines contemporary looks, easy manoeuvrability and a generous basket below the chassis. 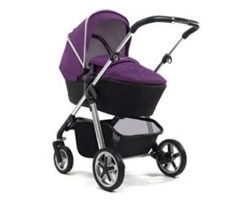 PIONEER - The Pioneer is generously proportioned with a large basket and chunky hard wearing tyres. Yet it is conveniently light and folds to a compact size. The seat unit is adjustable keeping your baby comfortable and closer to you.